Do you need a new pouch to store the stash of your makeup or jewelry? If yes then try this block zipper pouch. It not only looks trendy and cute but also provides a good amount of space due to its box design. To make it you have to cut fabric and fabric lining according to the template shown. Then you have to sew it and add a zipper. Bring it inside out and voila! 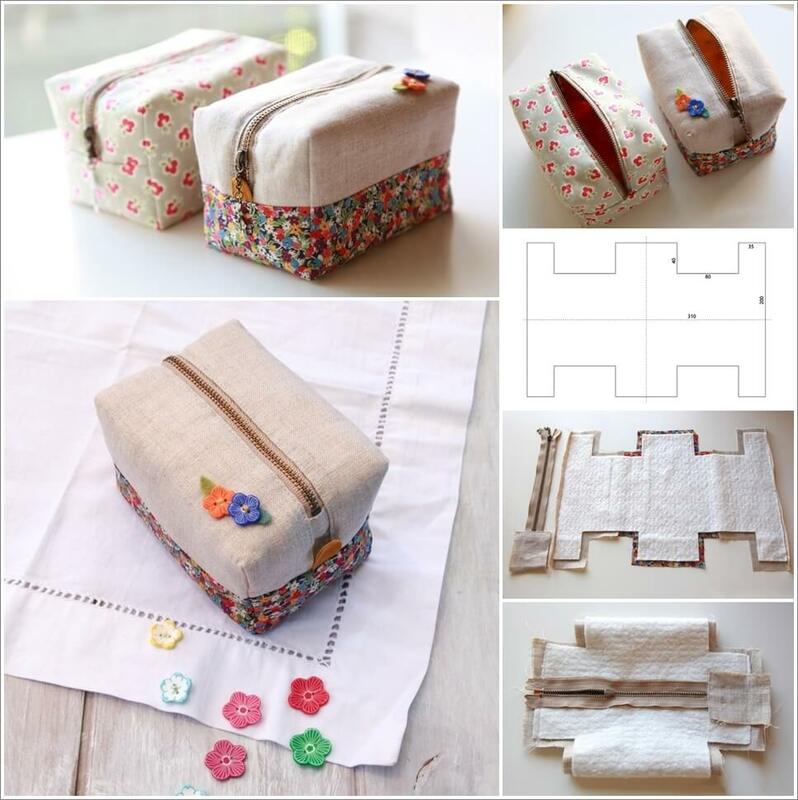 You can experiment with printed and plain fabrics to create stylish pouches. They can make wonderful gifts too. To know more details visit handmadiya.